This is a really adventure package that includes the Inca Trail, the most famous trekking of South America, the rafting in the Urubamba river, the Sacred Valley tour and the City Tour, it also includes booking for tourist class accommodations. The Budget package is the best value for money, includes a good service with porters and camping equipment. 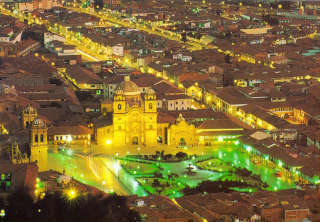 We will pick up you at 8:50 am from your hotel in Cusco. Our private transportation will take us to our camping ground at "Cusipata river camp”, where we can leave our baggage. Here you will enjoy, hot showers, toilets, sauna and a comfortable dining area. *OPTIONAL TOUR: You can do ZIP-LINE over 4 cables across the Urubamba River each cable with 100 to 120 mts. , you will spend 20 minutes approximately. • All the rafting equipment, such as helmets, life jackets, spray jackets, wet suits, paddles & Raft. • A pair of sandals or tennis shoes for the river that will get wet. The Inca Trail to Machu Picchu is definitely one of the most requested tours for those who visit Peru looking for adventure. We will offer a walking adventure with unique style. You will enjoy from the beginning to the end, of amazing landscapes of the Andes and a great mix of highlands and jungle. There is no other natural place in our planet which could show you a constantly changing variety of ecological floors, surrounded by astonishing mountains and rivers, as well as a great variety of animals and plants. Architectonical art is perfectly harmonic with the natural environment and all of these natural wonders are added to the Inca buildings which worth the effort to visit and enjoy. Important Note: We will buy your Inca Trail trek permit using the names & passport numbers that you send us with your trek booking application. You must bring these same passports with you to Cusco and take them on the Inca Trail. If the name or number in your passport is different from the name and number on the trek permit, the government authorities will not allow you to start the trek and you will not be entitled to a refund. If you plan to renew your passport between making the trek booking and actually starting the trek you will must bring the 2 passports (old and new). If you make a trek booking at the student price you must send us a copy of your ISIC card at the time you pay the trek deposit. If you fail to bring your ISIC card on the trek the government authorities will not allow you to start the trek. You will not be given the opportunity to pay the extra difference in price! A lot of visitors feel that this is one of the longest days of the excursion, but at the same time, one of the most beautiful due to the presence of marvelous Inca buildings along the road. This day we will get up at 06:00 hours. After a tasty breakfast we will start our walk climbing through a steep road. 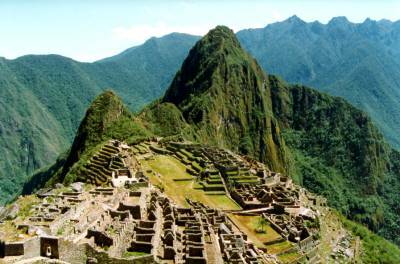 Soon we will arrive to Runkurakay ruins, a beautiful Inca oval building which is believed to be as a Inca watchtower. After hearing the historical explanation we will continue until Runkurakay pass, located at 3900 meters above sea level. During this trip we will find a little lake where sometimes you can watch Andean goose and other native bird species. After the pass, we will descend to a beautiful valley full of plants; here we will visit Sayacmarka ruins, located 3624 meters height. 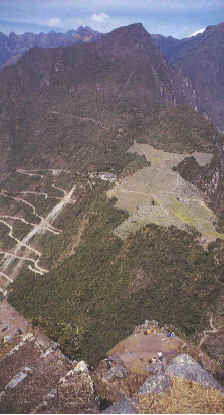 This is an interesting Inca construction, built over a steep slope, surrounded by marvelous mountains. After visiting Sayacmarka, we will continue descending to the cloudy forest, arriving to the Puyupatamarka ruins, composed of impressive fountains and water channels that are spectacular works of hydraulic engineering made by the Incas. At this stop we will have a good time, after which we will continue down to reach one of the most beautiful Inca buildings of the place: the ruins of Wiñaywayna. 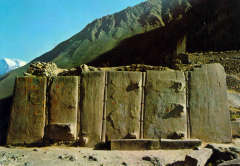 These are without any doubt one of the most beautiful of all the ruins after Machu Picchu. Wiñaywayna means "forever young" and it is said that acquired said name due to the abundance of an orchid that bears the same name. After exploring every corner of Wiñaywayna we head to our last camp, which is located a few meters away. * Participants need to be in good physical health and condition it is good for travelers who are in condition to hike up to ten hours, with breaks in a single day to enjoy the Inka Trail. The trekking will be difficult if you have not exercised regularly before your trip. To fully enjoy an Inka Trail adventure, we advise passengers to get into an exercise program for their own safety and enjoyment. If a passenger suffers from any medical condition, we advise him/her to consult a physician about joining an Inka Trail Expedition. Cost: US$40 per person for the 4 day/3 night trek. Weight 2.5 kg and are rated to 12 degrees below freezing (nice and warm even during the coldest of nights experienced on the Inca Trail).